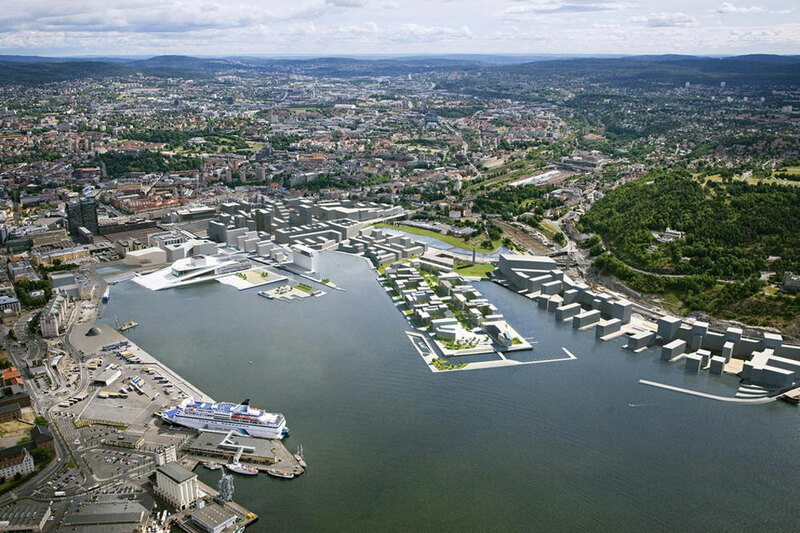 ‘Fjord City’ (Fjordbyen) is an urban renewal project concerning the waterfront areas in the city of Oslo which benefits both visitors and Oslo residents. The first developments in what is now known as Fjordbyen started with Aker Brygge in the 1980s, a well-known and well-used area for cafes, bars and restaurants at the centre at the Oslo waterfront. 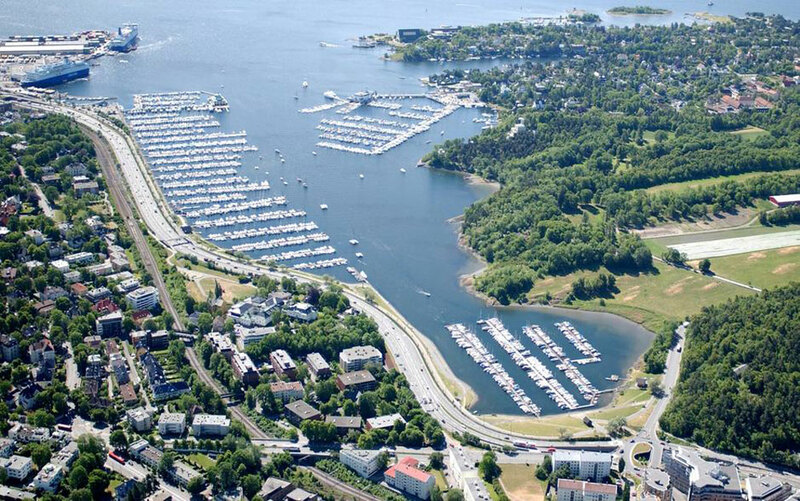 Securing recreational areas whilst increasing accessibility to the surrounding fjord, was a key objective of the Oslo City Council plan from 2000, for the development of the harbour areas. Starting the work in 2008, the City Council’s plan is making changes to the areas stretching from Frognerkilen to Sydhavna. Since the start of the development, there have been significant changes in the area. Where once industry dominated, there are now flourishing public spaces, including swimming spots, boardwalks, fishing areas, cafes, residential areas and offices. Making the harbour accessible for the citizens of Oslo has been the overall goal of the development of Fjordbyen. This means that both the physical transformation and services need to correspond to each other, so that the fjord and the city are increasingly intertwined. The areas are used for recreational activities such as walking, swimming, fishing, exercising and socialising. A large part of the development plans is already completed. The project is divided into 12 sub-projects corresponding to the areas comprising Fjordbyen. Each area has its own objectives which together contribute to the overall goal of the Fjordbyen development plan. For example, in Filipstad, the focus is on improving public services whilst increasing housing supply, a new school and kindergartens. The continued development of Bjørvika will bind the west and the east of the city together for an increasingly balanced city, including plans for the new Munch Museum and Deichmanske Library. The boardwalk and the main cycling path are to extend onto Frognerstranda, to combat the visual and physical barriers created by the E18 highway. The plans for Fjordbyen have not only set the political guidelines for the development of the respective areas, but have also contributed to creating an overall objective for the project. It has also contributed to changing regulations for coming projects. 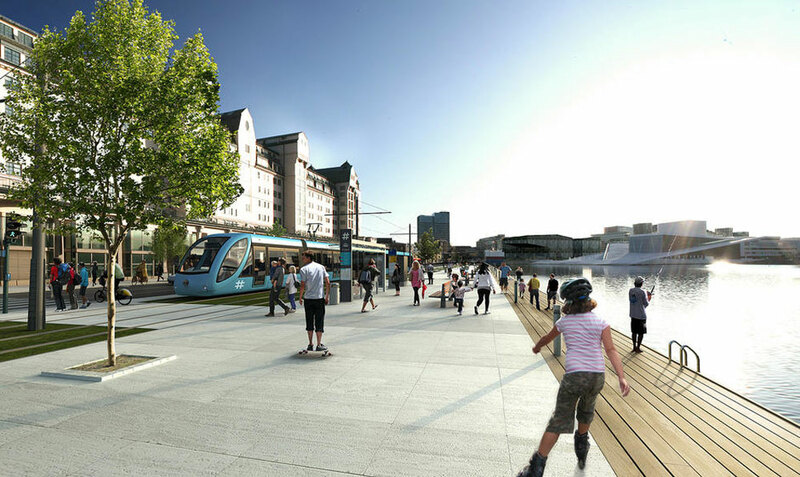 The recent report about Fjordbyen conducted by the Planning and Building Services at Oslo City Council, revealed that the visitors to the area were very positive and excited about the new role the fjord plays in the city. 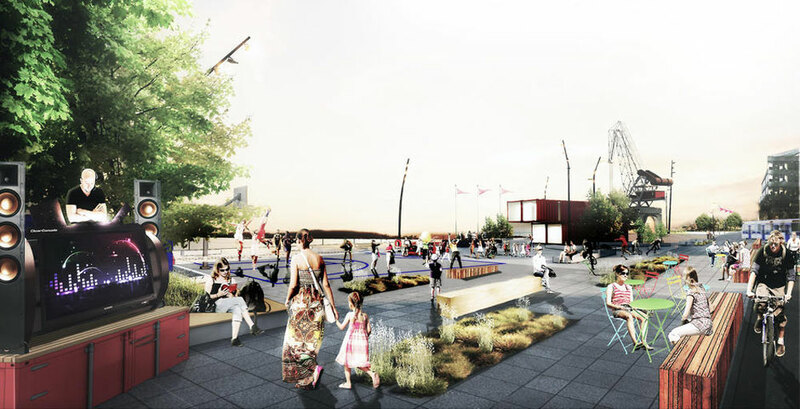 With the overarching vision for the area, Oslo’s waterfront has a potential to be a harmonious recreational space. 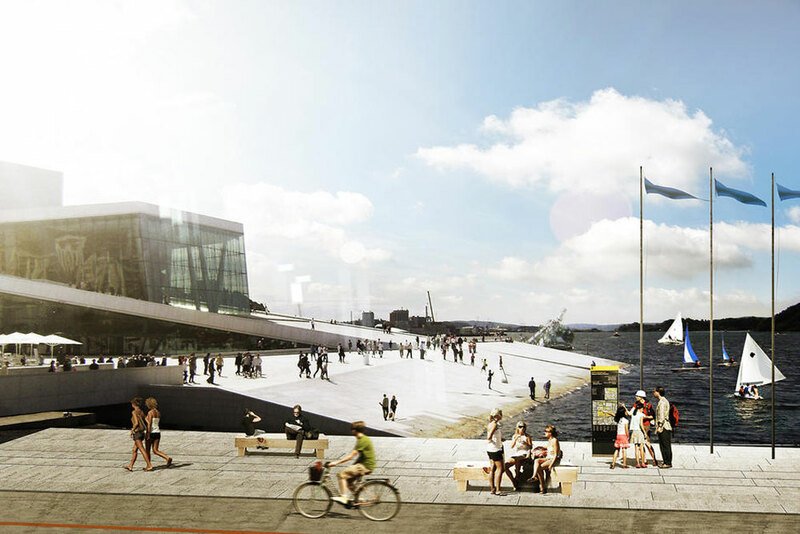 Ensuring that there is an overarching vision placing the user at the centre, the waterfront may develop to become one of Oslo’s most loved features – both in winter and in summer. Fjordbyen showcases systemic thinking for city planners, demonstrating how a positive cityscape can be created through increased connectivity between different districts within a city. Placing people at the heart of the development plans may also have a positive effect on the overall social dynamics in the city over time.